Post Name :- BSEB Bihar Intermediate / Matric Result, Scrutiny Online Form 2019. Short Information :- Bihar School Examination Board BSEB Are Declared The Bihar Board held the 12th Examination from February 2019. Also apart from the Bihar 12th Exam the Board also conducted board exam for other stream such as Science, Art and Commerce. The Bihar Board will also declare the BSEB 12th Result 2019. Those the Candidates are Enrolled in Bihar Board Patna Can Read the Full Information Before Download the Result. BSEB Patna :- Bihar School Examination Board Patna Will be Conducted the Examination of SSC Examination 2019. 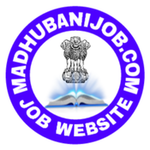 Intrested Candidates Must Visit on the Result Page on the Main Home Page Candidate Should locate the BSEB Intermediate Result 2019 Link. On Clicking the Link and Candidate will be directed to the BSCE Result Page. Enter Details such as Roll Number, Roll Code on Clicking the Button Submit. The BSEB Intermediate Result 2019 will be displayed on the Screen. Candidate can download the Result and Printout the Result Page. Post Name:- Indian Bank Po Recquitment 2018 PET, Pre Exam Admit Card, Final Result 2019. Uttar Pradesh:- Agra, Allahabad, Bareilly, Ghaziabad, Jhansi, Lucknow, Muzaffarnagar, Noida, Varanasi. Madhya Pradesh:- Bhopal, Sagar, Gwalior, Ujjain. Bihar:- Bhagalpur, Darbhanga, Gaya, Muzaffarpur, Patna. And Other Examination Centre in Pan India Various State And District.